I saw it posted a while ago here, but never saw a response. Where / when can we get our race numbers? I saw one posting here with a really cool set of graphics and it would be cool to have some prefabbed. Ted Marriner Never heard but I'm hoping they'll be first come first served since I have graphics with my assigned number from my home series. Never heard but I'm hoping they'll be first come first served since I have graphics with my assigned number from my home series. Chris Coulter Looks sharp, and a fellow Husky rider. Maybe I'll find out more at the US Games in San Bernardino at the beginning of June. Looks sharp, and a fellow Husky rider. Maybe I'll find out more at the US Games in San Bernardino at the beginning of June. It does not matter what number you have. No more than 3 digits. If there are duplicate numbers in a class we will tape a letter next to it. This event has not been held in a while so the rules are under development. Final approval from the Federation will be Spring 2014. As you can see under the EVENTS section within POLICE SPORTS the Motorcycle Street will be held at the Dulles Expo Center, Chantilly, Virginia - not far from Athletes Village in Reston, Virginia. Thanks for the reply. I would really like to know if this is intended to be a police motorcycle rodeo type of event or a motorcycle road race (on sportbikes). Thanks. Made me laugh Chris. I am making adjustments to the site to flow better and hopefully the community can help answer questions with us by referring to the loads of info we are posting. I really believe this social concept will work for the WPFG. Just need to keep tweaking. Hey Chris, It will be a Police Motorcycle Rodeo type of event. The rules should be approved and posted soon. Are you guys training for motocross? 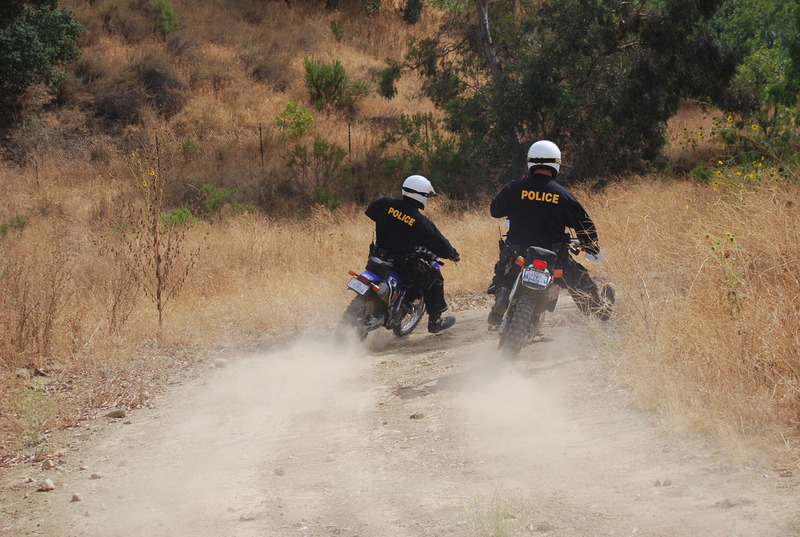 It was actually part of a photo shoot for a local newspaper on our off-road enforcement team. I just liked the pic and kept it. But yes, we like racing motocross and Euro Scrambles. Oh, and I would be in favor of a Euro Scrambles / Cross Country / GP Style event as well. We have full run of Budds Creek so it all comes down to what we can handle and what the Federation will approve. Stay tuned. The sports coordinators are going over the rules in preparation for the WPFG Federation to approve. The rules that you see posted now are merely as a reference point from previous games. We will know more in a few months.